Who doesn’t love parties? Who doesn’t love to wake up in a festive looking home everyday? Well, I this is what you need! 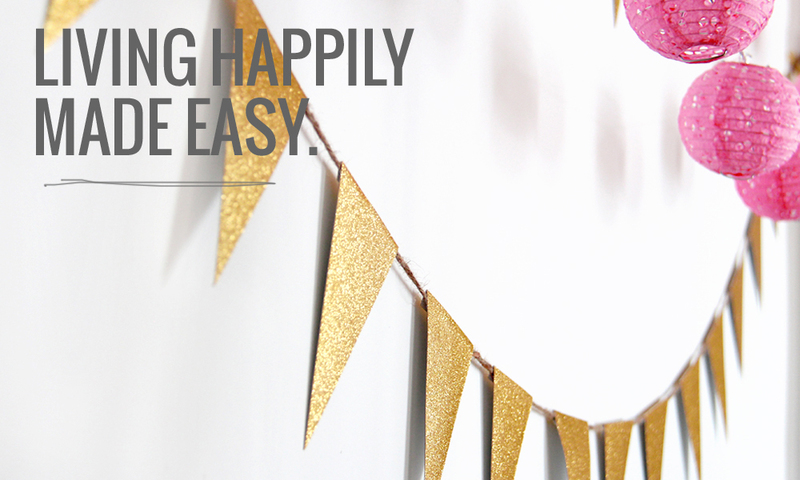 A cute glittery banner to hang whether or not you have something to celebrate! 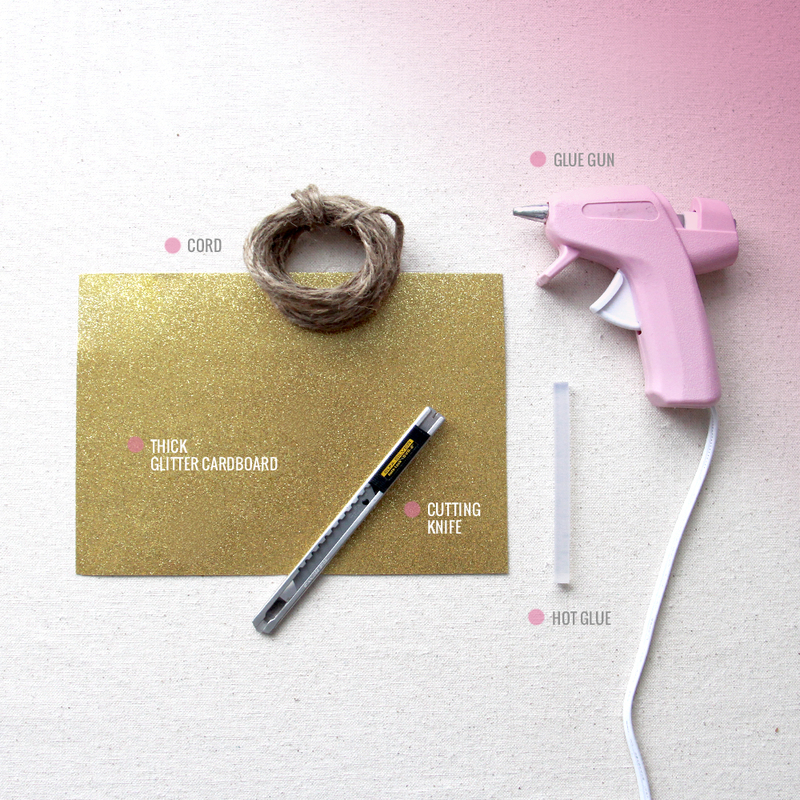 Quick and simple, this DIY project will certainely put a smile on your face. Score the cardboard about half a inch from the larger end to prevent from cracking. Fold the cardboard over the cord and fix it with hot glue. Repeat this with every triangle and make sure to keep the same space between each of them. Cut the cord leaving few inches at both extremities to tie a knot and fix it wherever you feel like. 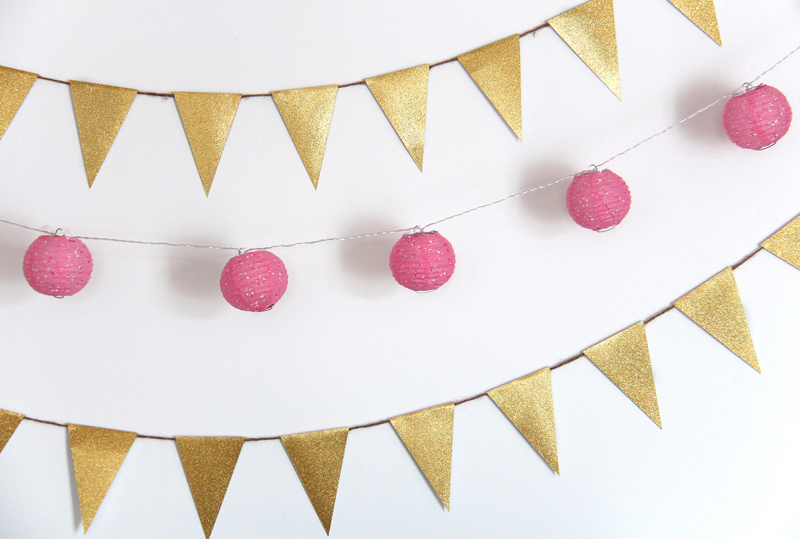 You now have the cutest banner to hang in your home. Amazing! I’m going to make one for my workspace. It will make late night homework more festive :) Where did you get the glitter cardboard? I bought mine at a dollar store, I love the quality for such a cheap price. The cardbard is thick and the glitters don’t fall off! Send me a picture if you do make one for your workspace! I’d love to see how it turned out! Notify me of followup comments via e-mail. You can also <a href='http://coloursandbeyond.com/comment-subscriptions?srp=2045&srk=&sra=s&srsrc=f'>subscribe</a> without commenting.